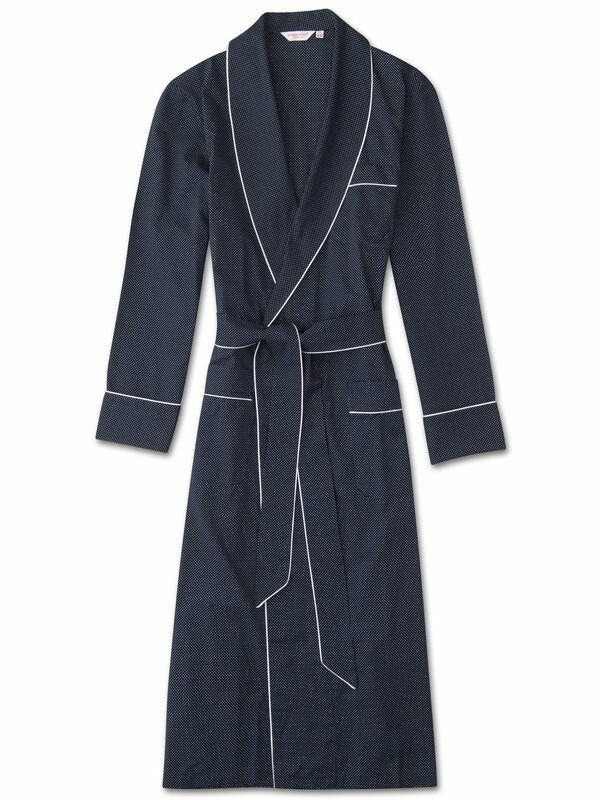 The Plaza robe features a stylish polka dot pattern and white contrast piping. Constructed from a soft and lightweight pure cotton, it is fabulous to wear in the warmer months — or layered over a warm pair of pajamas when the weather turns cooler. 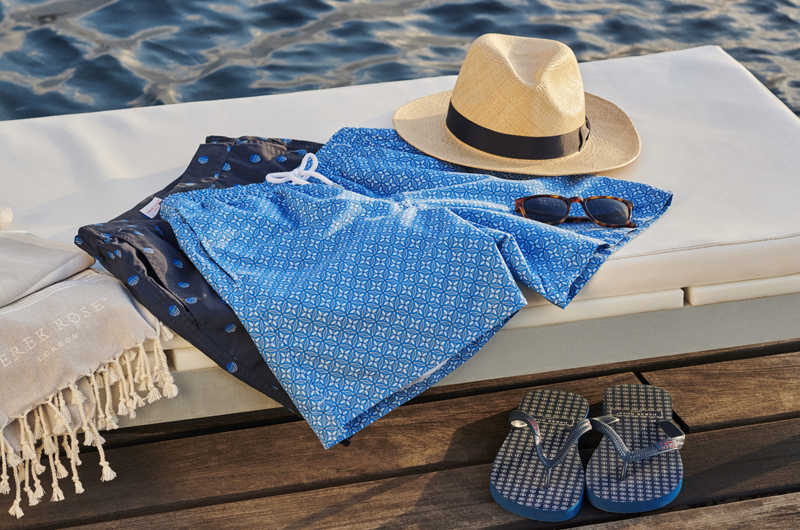 The robe features a shawl collar, breast pocket and two side pockets, and thanks to its light weight and ability to fold down to a small size, is ideal for travelling — so you can maintain your comfort and sartorial elegance when you're away from home.